When was the last time you had a conversation about faith with someone who wasn’t a Christian? What was the last book on evangelism that you read? When was the last time you preached (or heard) a series on evangelism? When was the last time you took the initiative to greet a first time visitor, and took the time to converse with them, beyond the handshake? When was the last time you prayed for your neighbor to know Christ like you know him? How many friends do you “do life with” that do not know Jesus? 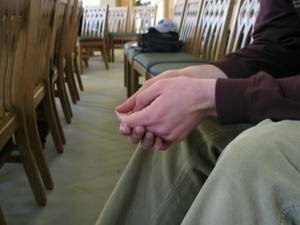 How many Bible studies or church events do you go to that keep you too busy to be with non-churched people? What gospel scripts have you learned and are ready to use at a moment’s notice? Who are the new believers in your church that you can help coach in evangelism?